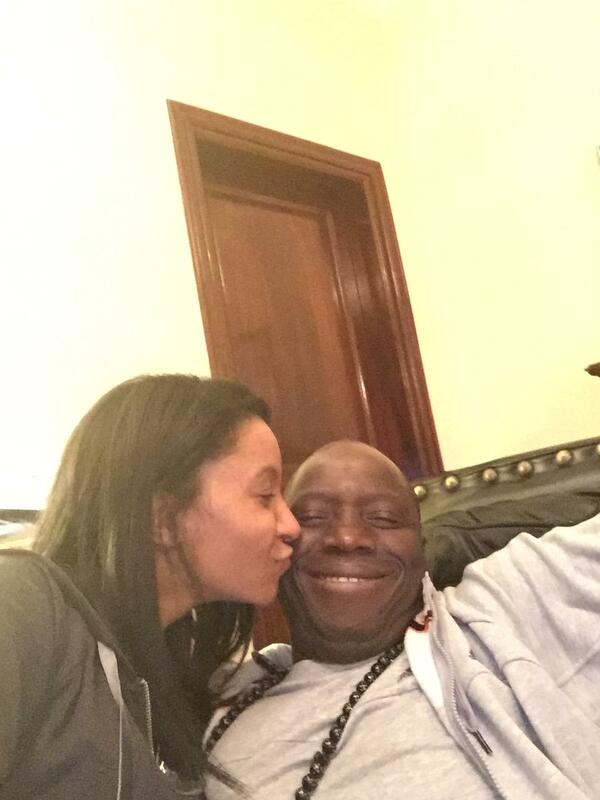 Thione Seck was arrested Wednesday at his home with an Ivorian. Counterfeit dollars and dollars were found in his home. The search carried out at his “accomplice” Ivory Coast also helped to find other denominations of counterfeit notes and manufacturing equipment of such tickets. S seizure amounted to over 40 billion CFA francs, advance “The Observer”. 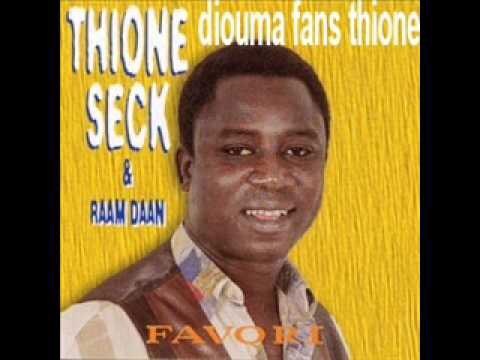 Questioned by the police of the Research Section Colobane, Thione Seck denied the facts of money laundering. “This money was paid for my tours I have to perform in Europe,” he said, according to “The Observer”. It should honor 100 dates for a tour of 6 months. He was to receive a total sum of 100 million euros (65 billion CFA francs). He received, he indicated an advance of euros to 50 million (32.5 billion). It is therefore estimated to have been trapped because he did not know that he was s counterfeit. The gendarmes, not convinced of his explanations, asked him to provide them with the contract that was signed with the organizers of the tour that would Gambians. N what he could do, says our sources. It is thus still detained. Investigators designed the offenses of criminal conspiracy, false banknotes detention and money laundering. At last, common sense has prevailed once in the Gambian judiciary system against all odds in the acquittal and discharged of the Caliph General of Darsilameh Sangajor Muhideen Hydara and his co-accused the village Alkalo Buyeh Touray. The arrest and subsequent trial of these two men was a clear manifestation of Yahya Jammeh’s dictatorship at its core. Because, the accused persons were accused of refusing to perform Edul-Fitr on 28 July 2014 as ordered by the president on GRTS. However, the questions one is forced to ask are what powers does the president have to order the entire country to perform the prayer on that particular day or where in the Gambian constitution does it states that the president have such powers and again where in the Sunnah or Quran that states that the president has the powers to order the entire nation to observe the prayer as ordered by Jammeh? Indeed, there is only one answer to these questions which is Yahya Jammeh has no power whatsoever to order the entire nation to observe the prayer on a particular day and in that case, Jammeh abused his position as the head of state to arrest and trial these two men. This goes to show what the people of the Gambia are going through, because this trial is one in many trials that Jammeh abused his position to persecute people that disagree with him. Meanwhile, the trial magistrate needs to be commended for this bold but correct decision to acquit and discharge these people of these bugus and cowardly charges against them. Of course, the majority of the country wants a coordinated and systematic way in which the whole country should begin and end their Ramadan on the same day, but unfortunately the organisation that is meant to do that Gambia Supreme Islamic Council (GSIC) has lost all credibility because of their involvement in politics and endorsement of Yahya Jammeh’s dictatorship and brutality against Gambians. However, people should not be forced to observe Ramadan at the same time neither to perform prayer at the same time, but rather be persuaded because the Islam Jammeh always quotes has not force anyone to do so but only to encourage and persuade. GSIC has to go back to basics and leave politics to politicians if they want to earn the respect they deserve else they will remain a puppet under Yahya Jammeh and isolated by the people. Yahya Jammeh is partying while two-third of The Gambian population goes to bed hungry: responsible or irresponsible leadership? Yahya Jammeh always claimed to love Gambia and he is ready to die for Gambia but the surprising thing about Jammeh is he is also always ready to waste the country’s meagre resources on a single day while two-third of the population goes to bed hungry. At the time of writing this article Jammeh was celebrating his alleged birthday and he spent well over $2.8 million according to our sources. Jammeh took a unilateral decision to change the public working days in The Gambia from five (Monday to Friday), to four (Monday to Thursday) and above all increased the number of public holidays to accommodate his so-called birthday. Jammeh does all these while the average Gambian continue to die of hunger, malnutrition, lack of medication and constant electricity and water shortage in the country. The IMF country representative Mr. Gaston Mpatswe has just published a report with serious warnings on the state of economy of The Gambia, according to the report, The Gambia government’s public debt had risen to 100 per cent of the country’s total GDP by end 2014. The domestic banks are now drained dry of the needed cash for private sector development due to The Gambia government’s continuous excessive borrowing and without government instituting corrective measures the country’s economy is heading for a total collapse sooner rather than later. 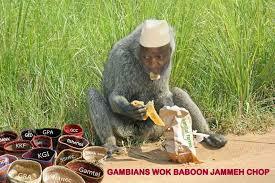 However, Jammeh has no appetite in entertaining such report, but to continue to party and waste the little resources the Gambia is left with. Gambians need to now realise that Jammeh cares only about himself and because with the country’s economy in such a state any responsible government or leader would not go and waste the public’s resources on a birthday. The UK is million times richer than The Gambia and they are a donor to The Gambia, however, the new government has frozen the ministerial pay for the entire duration of the current parliament and this is exactly how a responsible government acts. A responsible government puts the plight of its citizenry first before anything but The Gambia government always does the opposite.